An honest $54 Sony Noise Cancelling Headphones review. Work in an open plan office? Sick of people interrupting you all day? You need some soundproof headphones. I’ve been working OP, as I like to call it, for almost five years now and over this time, I have learned one crucial rule. 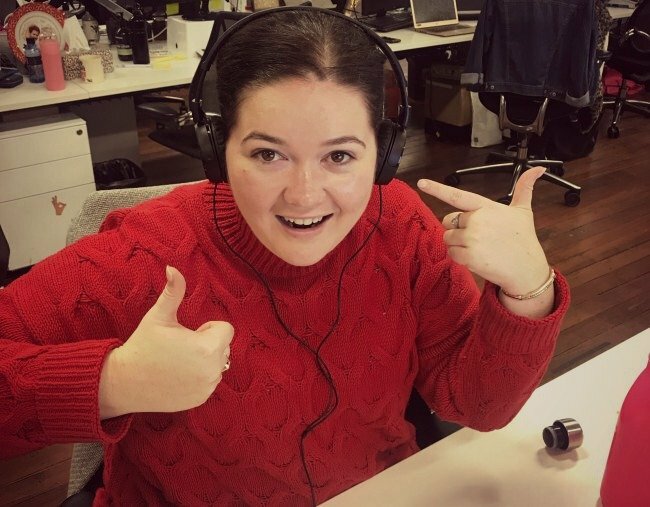 *Disclaimer – I make podcasts at Mamamia and it is my job to wear headphones all day so people don’t really interrupt me anyway, but I’ve seen other people doing it and it seems to work for them. The only problem is headphones, good ones, the soundproof ones, are expensive little suckers. Some of them even retail for $600 bucks. So finding GOOD ones can be hard. Headphones to me are a bit like a security blanket. They make me feel safe. They help me do my job, they stop people from bothering me even when I’m not listening to anything and they also keep my ears warm. But for the past three years, I’ve been wearing the same headphones. And because I wear them so much, they are a little gross and covered in makeup. And they smell a bit. OK, a lot, but let’s not go there. So when Mamamia’s Executive Editor Leigh Campbell put a call out for someone to road test Sony’s Noise Cancelling Headphones that are currently $54 on Mamamia Shopping, naturally, I put my hand up. Decent noise cancelling headphones for under $100? She must be dreaming. Alas, she was not. Because a day later, the Sony Noise Cancelling Headphones arrived on my desk, and they did in fact cancel noise. At first, I have to admit, I was a bit sceptical. They were very compact and small compared to the giant, big, heavy, smelly suckers that I usually wear. But, as they say, don’t judge a pair of headphones by their packaging. And it was then I realised, I couldn’t hear what was going on around me. Usually, I find myself holding my headphones to my head to hear over the noise in the office. But not with these guys. They blocked everything out. The TV’s I sit near, the chatter, the laughter, people trying to get my attention. Everything. So, if you work in an open-plan office, don’t like being interrupted or want to block out the screaming child that&apos;s on your train - Sony’s Noise Cancelling Headphones have you covered. How do you stop your colleagues from distracting you all day? Tell us in the comments.